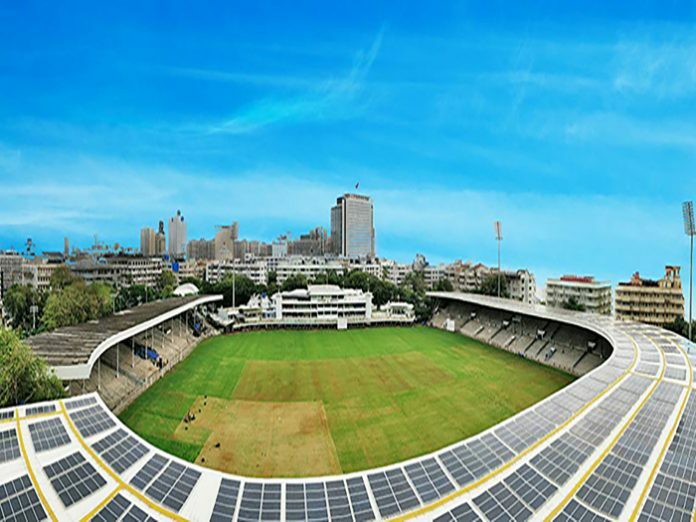 Tata Power Solar, India’s largest integrated solar company and Tata Power’s wholly-owned subsidiary, has commissioned 820.8kWp at Cricket Club of India, Mumbai. Shri Devendra Fadnavis, Honourable Chief Minister of Maharashtra completed the inauguration of the stadium. Tata Power Solar joined hands with Cricket Club of India to utilise the potential of solar energy. The installation of the solar rooftop project will help to generate over 1.12 million electricity per year which will lead to 25% of savings in the power consumption cost. At present on an average (apart from stadium floodlights, which runs on DG), the stadium consumes 4 lakhs kWh /month, but with solar installation, on an average basis, the consumption from the grid would fall to approx. 3 lakhs kWh/month. CCI will also be able to curb the emission of over 840 tonnes of carbon dioxide annually. With an aim to be environmentally responsible by reducing its carbon footprint, Cricket Club of India initiated a project to install 820.8kWp roof-mounted solar plant at the CCI stadium, Mumbai. Tata Power Solar has commissioned more than 1.45 GW of ground-mount utility scale and over 220 MW of rooftop and distributed generation projects across the country till date. Tata Power Solar has been ranked #1 EPC rooftop solar player consistently for four years by BRIDGE TO INDIA, a leading cleantech consulting and knowledge services provider. The total installed capacity in the rooftop segment is over 220 MW as of 31 March 2018 including commercial, residential & industrial sector.